Farmers, growers and agribusiness members gathered at Kansas State for the third annual Kansas Agricultural Growth Summit to join discussions on the advancement of agriculture. 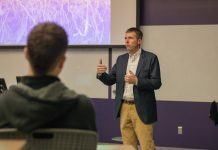 The summit began Wednesday with a dinner and social at K-State’s Stanley Stout Center and continued Thursday with breakout seminars and addresses from Gov. Jeff Colyer, Lieutenant Gov. Tracey Mann and Secretary of State Kris Kobach. 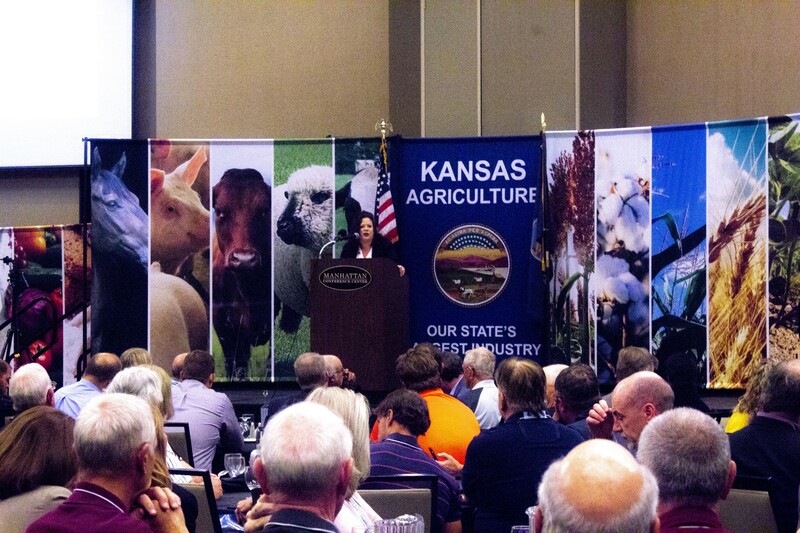 Each year, the summit looks at 19 sector-specific growth plans and what may be relevant, shifts in the industry and different priorities for these sectors, said Mary Soukup, assistant secretary of the Kansas Department of Agriculture. A significant factor that brought the Ag Summit to Manhattan was the ability to be near students, Soukup said. Soukup said there were many students at the event working or learning, including members of the National Future Farmers of America Organization, or FFA, and interns in the Kansas Department of Agriculture. Katie Lybarger, sophomore in animal science and industry and Department of Agriculture intern, said the summit was also a networking opportunity. Elizabeth Meyer, junior in agricultural education and FFA member, attended a sector break out on specialty crops, seeking an opportunity for growth. Soukup said the unique thing about the summit is that everyone is brought together under one roof.